Forget diamonds, water is a woman’s best friend. Not only is it completely free from your kitchen sink, it has many wonderous benefits that most women would pay an arm and a leg for. 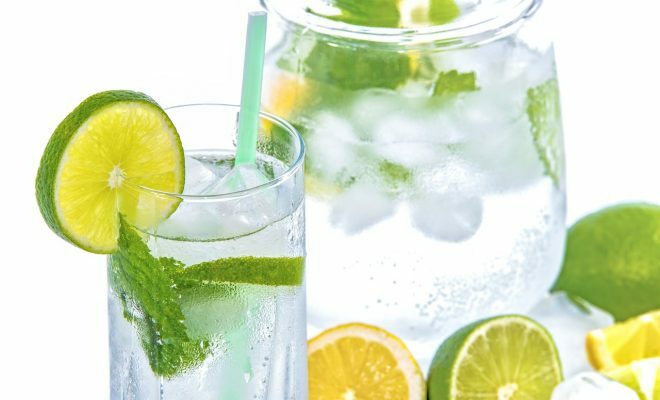 If you wish to lose weight and have great skin, water is the answer to almost anything and it can save you a lot of time and money. Here are just a few reasons why water is fantastic. There is no need to spend another dollar on a detoxing tea or juice. Your body will naturally detox itself of any toxins when you drink copious amounts of water. The water will flush out your system and rid you of any toxins in your urine, a natural and inexpensive way to detox. If you do not drink a lot of water, this may make you go to the toilet a lot more frequently until your body is used to it. Water is great for weight loss for many reasons. Firstly, if you drink it before a meal, you are more likely to feel full eating less food. This is because water is an appetite suppressant, and it will fill up room in your stomach with something that has 0 calories; who needs a gastric band when you can have a cold bottle of water! Drinking water also means replacing any other drinks, reducing your calorie intake through fluids. Juice and sodas can all add up to extra calories each day that can contribute to weight gain. Water is also the best way to stay hydrated when losing water through sweating when exercising. Whilst you are trying to lose weight, why not try out one of these Body Slimming Corsets to look super slim in that new dress. We can spend as much as we want on fancy moisturizers and oils for our face and body, but if our body is dehydrated, our skin will be dehydrated too regardless of what we cover ourselves with. You should be drinking the recommended amount of water per day to ensure that your skin is properly hydrated. This will give you naturally glowing and radiant skin and reduce the appearance of fine lines and wrinkles. This is the most natural way to improve the look of your skin without paying hundreds of dollars for special treatments. Water isn’t just good for our bodies ladies, but also our minds. Our brain is made up of 73% water and therefore we need to keep hydrating to keep our brain at its optimum level. Your brain needs plenty of oxygen and drinking water gives your brain just that. Not drinking enough water can lead to loss of focus and decreases your mental performance. It can also cause headaches if you are very dehydrated. Water is important for everything and is the cheapest way to lose weight, have beautiful looking skin and stay smart. Fill the water bottle up and get drinking!